The new woodland at Arnott's Loan will be a native Oak woodland on an appropriate and fertile sheltered site. The planting will connect two areas of existing mature native Oak woodlands, both SSSIs. 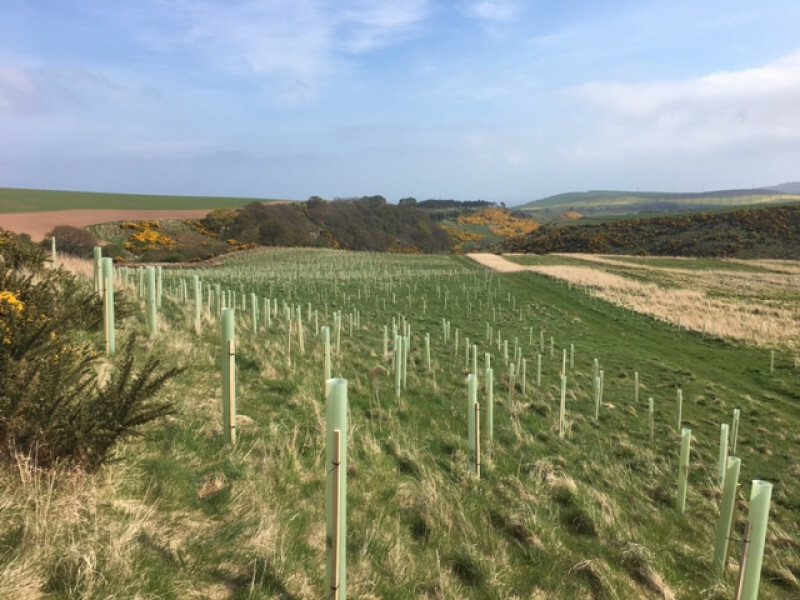 The woodland has been planted with feathered upper edges to ensure sympathetic appearance in the landscape and improve habitat for Black Grouse. All planting stock was of local origin. The long term aim of this woodland is to produce utilisable timber on a continuous cover basis - creating a permanent, all age, woodland through sequential thinning and re-planting on a 100 year rotation and with no clear-felling.